Gili Ovadia assumed the position of Consul for Economic Affairs to the West Coast in August 2013. In his previous positions at the Ministry of Economy, Gili served as the assistant to the Director of Foreign Trade and in the North America desk. Prior to joining the Ministry of Economy, Gili worked for a leading Israeli litigation firm known for its specialty and expertise in corporate litigation. 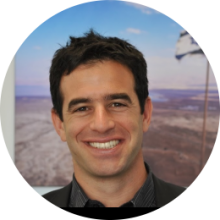 He also served as an advisor to the Minister of Defense, Mr. Ehud Barak, and as an analyst at the Israeli branch of Standard & Poors. Gili graduated with honors from the Interdisciplinary Center (IDC) Herzliya and holds an LLB in Law and Governance. The Government of Israel Economic Mission to the West Coast is responsible for enhancing bi-national trade relations between the West Coast and Israeli business communities. The main fields of activity include promoting trade and exports, attracting and encouraging foreign investments and creating strategic cooperation with foreign companies. By leveraging its networking capacity and industry knowledge in Israel and the Western United States, the Economic Mission is able to seamlessly engage prospective business partners half a world apart.